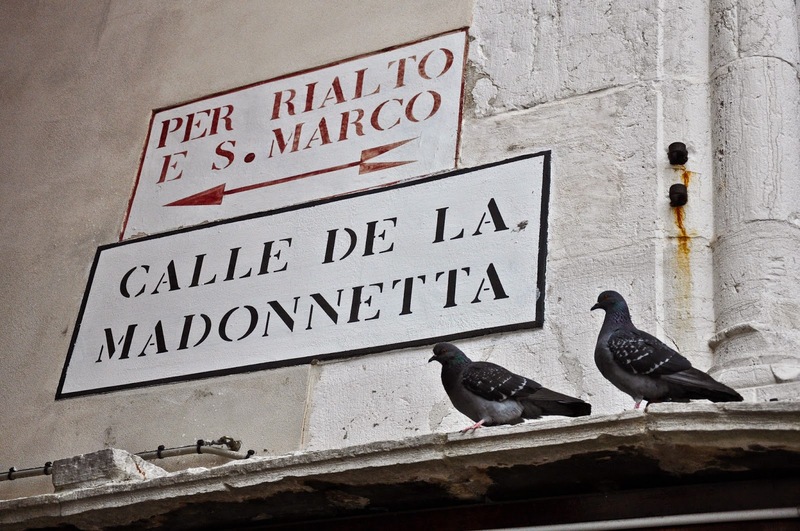 I want to tell you about Venice. Venice of my dreams and of my reality. This messy, crazy and most beautiful city on Earth. Born of the barren marshes and out of the strength of the human spirit. 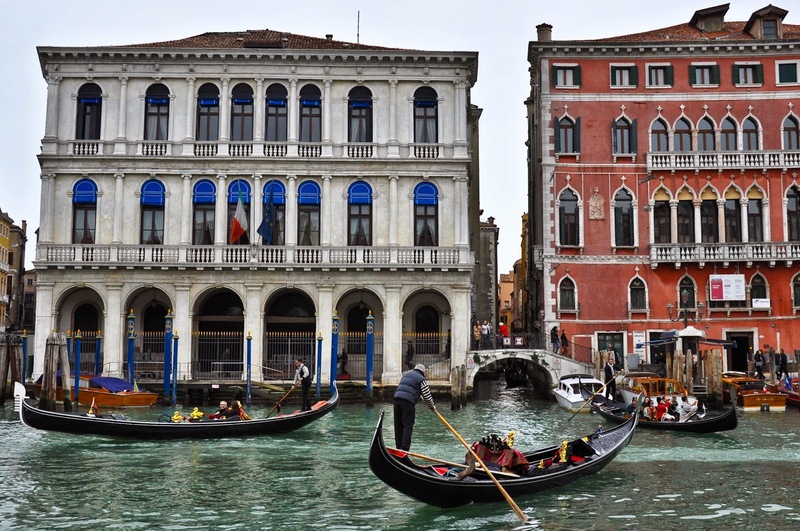 The Venice of romance. The Venice of art. The Venice of history. And of churches, labyrinthine streets, gondolas and canals, clothes on the wash-lines, Murano glass, pigeons on St. Mark’s Square, mosaics of St. Mark’s Basilica, sumptuous masks and thousands of other iconic images that in our collective mind make Venice a dream, a top destination on our travel wish list or for the few poor people who can’t understand its charm – a tourist hell-hole. 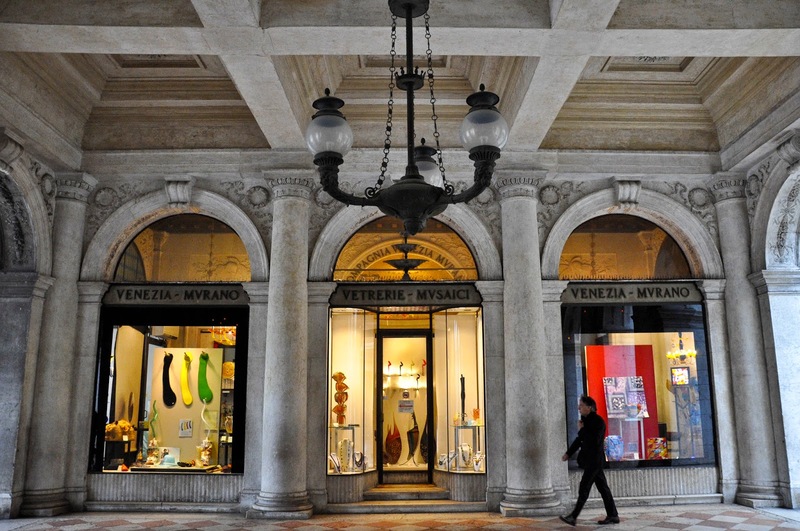 My own love story with Venice started with my interest in jewellery made from Murano glass beads. 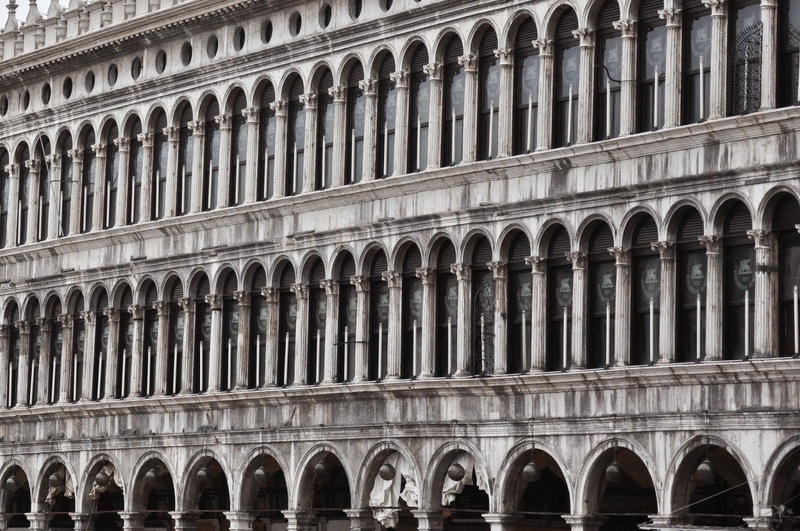 The more I learnt about the centuries-old Venetian tradition of glass-making and how it influenced both life in the city and Europe, the more I wanted to see this fabled place. I would look at the beads with the embedded pieces of murrine and admire the human hand which had created them one by one in a reverent practice of a difficult to master craft. I started to read books about Venice and paint vivid pictures in my mind of a life rich in art, music, discovery and knowledge and sometimes hidden behind a mask. At the end I bought myself a plane ticket and with only 24 hours secured off work I gave myself a day in Venice. Two hours away from London existed this fabulous place, where my soul felt inspired and free. The water of the canals was the most beautiful blue gray. 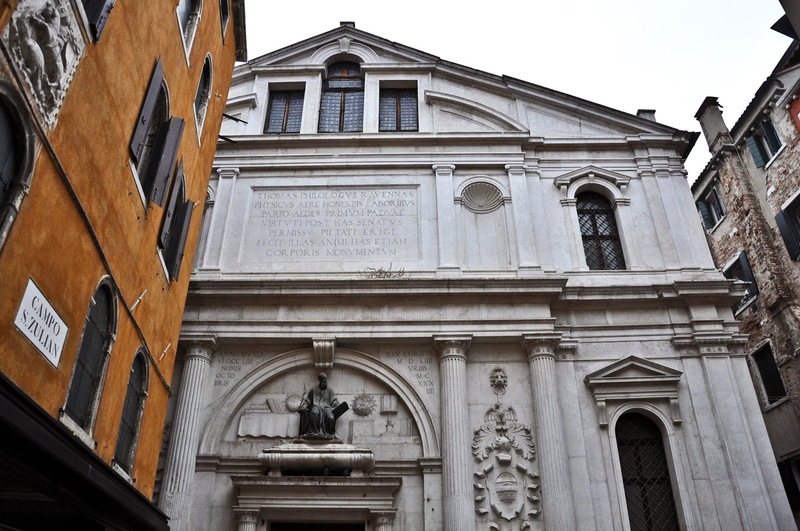 Above it stood the houses and the palazzi – a testament to human engineering skills. The whole city seemed to rise effortlessly above the lagoon, invisibly fortified by thousands of petrified log piles. 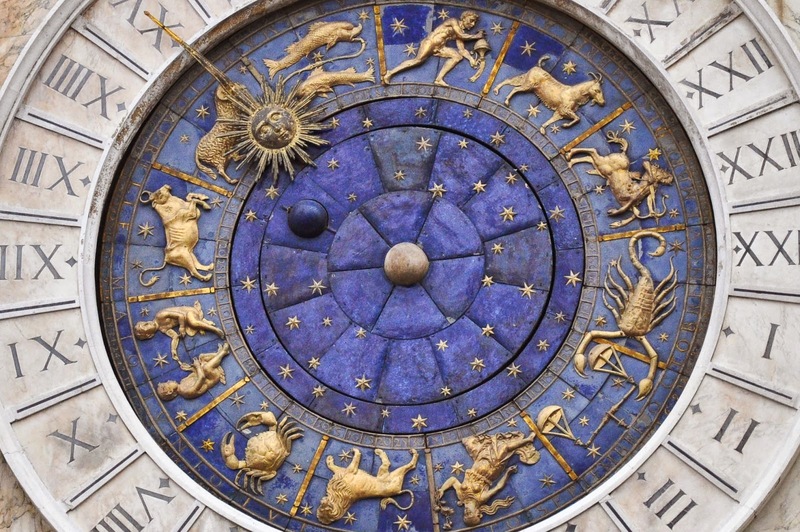 …and spend some precious time at what Napoleon once called ‘the most elegant lounge in Europe’ – Piazza San Marco. That was nine years ago and since then I have grabbed every chance to return. This is so unusual for me, as I am always on the lookout for new places to explore and rarely go to the same city again. 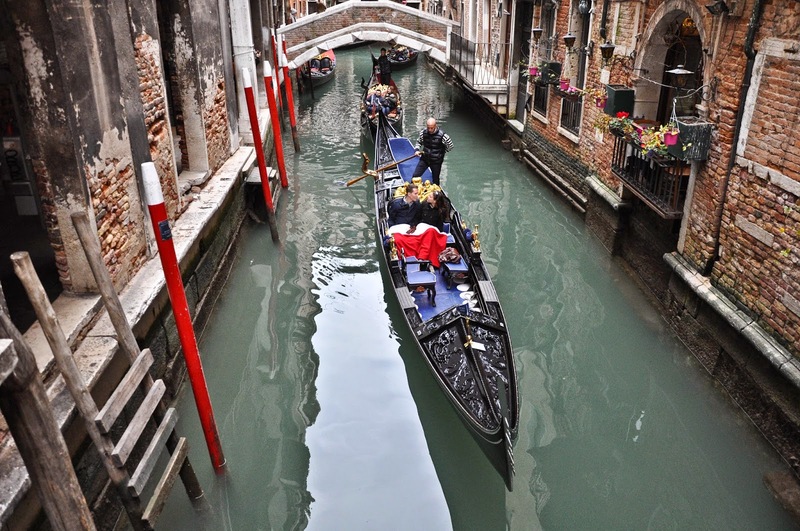 Yet, Venice has my heart and I have seen her through the lens of the Carnival, with the eyes of a tourist and, when my husband proposed in Venice, as the most romantic place on Earth. 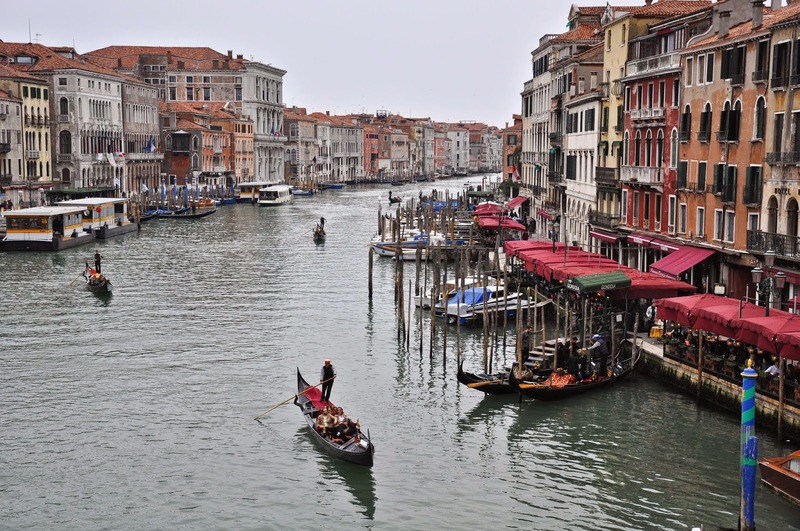 In fact, when we decided to relocate to Italy, Vicenza was top of our options’ list not least because of its proximity to Venice and we imagined week-ends spent walking hand in hand by the canals. This past Saturday was one such day for us. overawed with tourists and sellers of selfie-sticks. No wonder that on the wall of a house in Dorsoduro we spotted a graffitti-ed sentiment that read: ‘Tourists, die you all!’. I gather when you live in a city where every wash-line with socks and pants is a photo opportunity, some may become a little disillusioned with the constant influx of people busy snapping themselves away. full with shops where craftsmanship honed through the centuries lives side by side with lots and lots of mass-produced tat. I discovered several boutiques for jewellery, glass and masks where I can easily spend days getting lost in the beauty they make and sell. I couldn’t close my eyes though to the myriad of other shops piled high with not authentic stuff. I think the most diplomatic way to put it across would be to say that there was something affordable for everyone. At times, it was overwhelming (especially with the buggy which had to be carried over many a bridge). 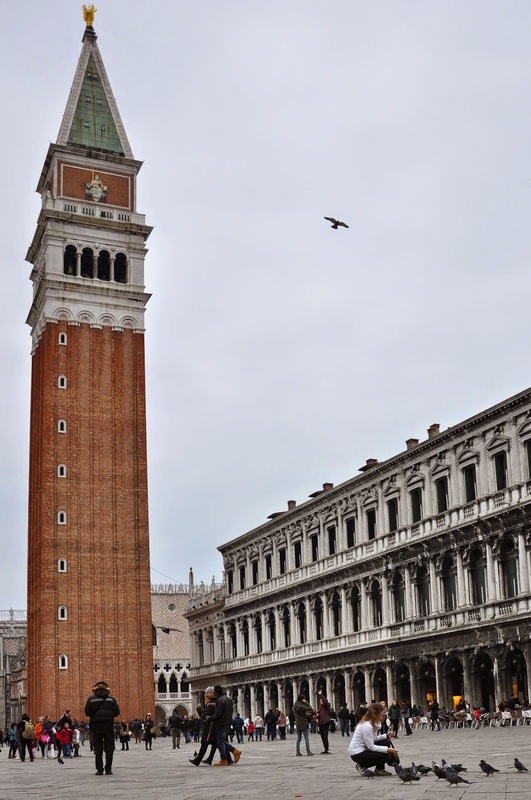 But don’t let this spoil your time in Venice, especially if it is your first one. Open your eyes and your heart to this amazing city and it will give you as much as you are willing to take. 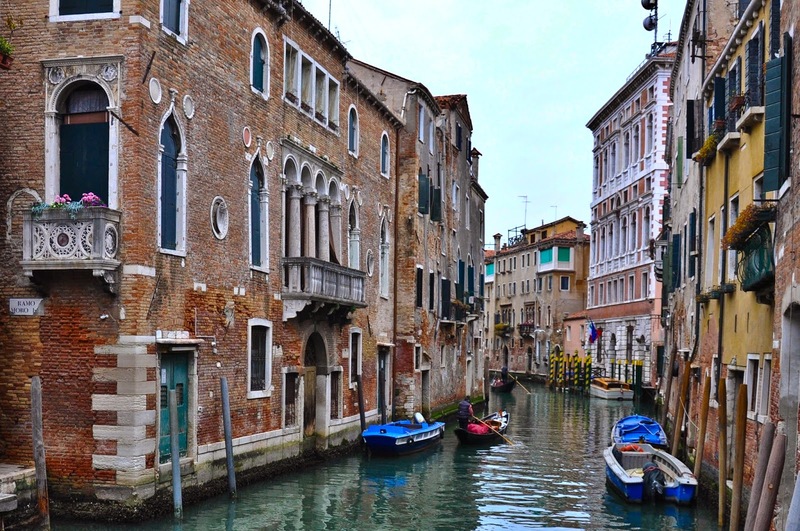 Be ready to get lost in the maze of narrow curving streets and be on the lookout for details that make Venice what it is. Like doors that open onto a canal. 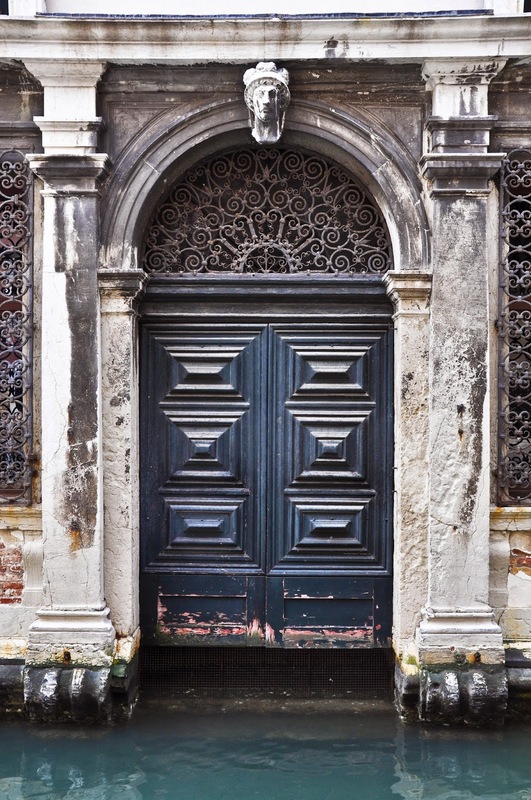 Or entrance doors with such low frames that you suddenly realise that the houses were built many centuries ago and haven’t caught up with the increase in human height since then. 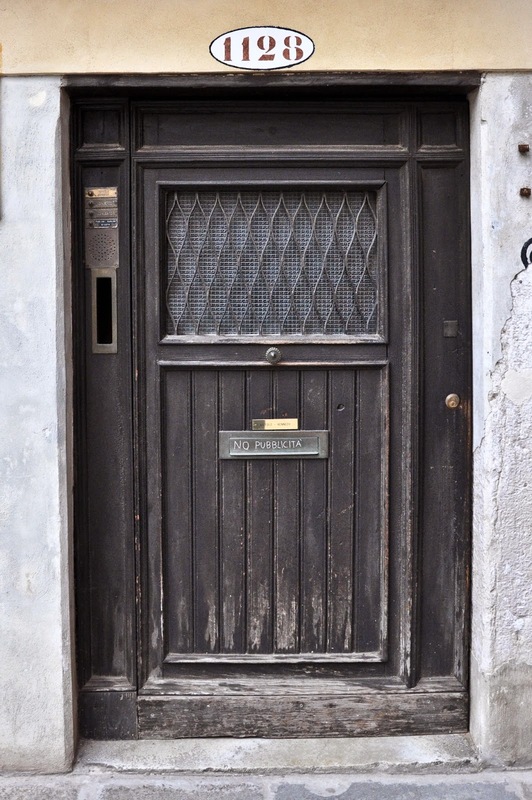 Yes, this really is house number 1128. 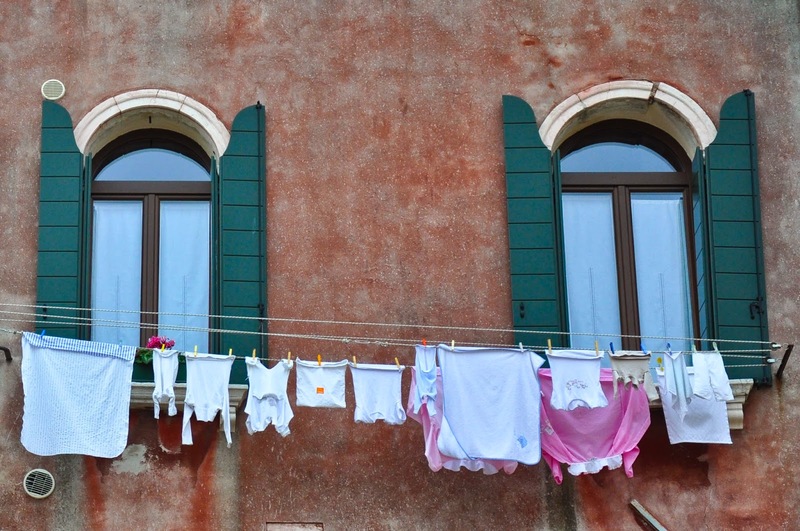 This is because houses in the sestieri (Venetian neighbourhoods) were numbered according to the order in which they were built, rather than their sequence on the respective street. 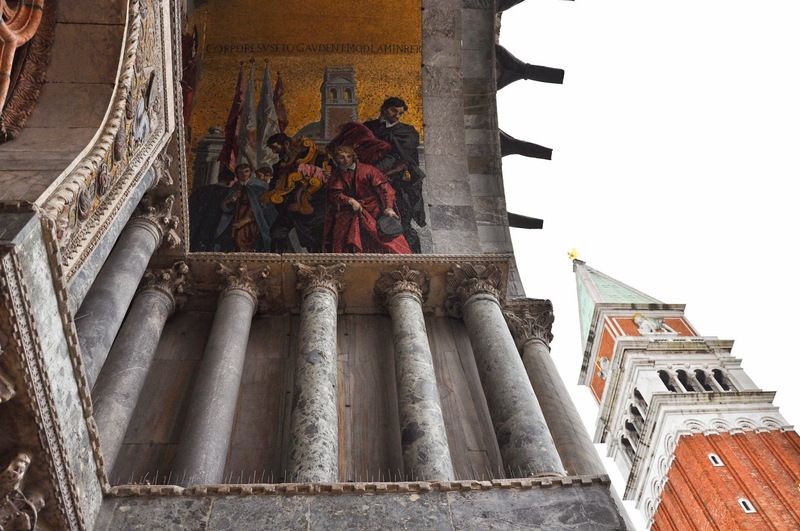 When you walk around Venice, always, always look up! There are so many unique things you would otherwise miss. 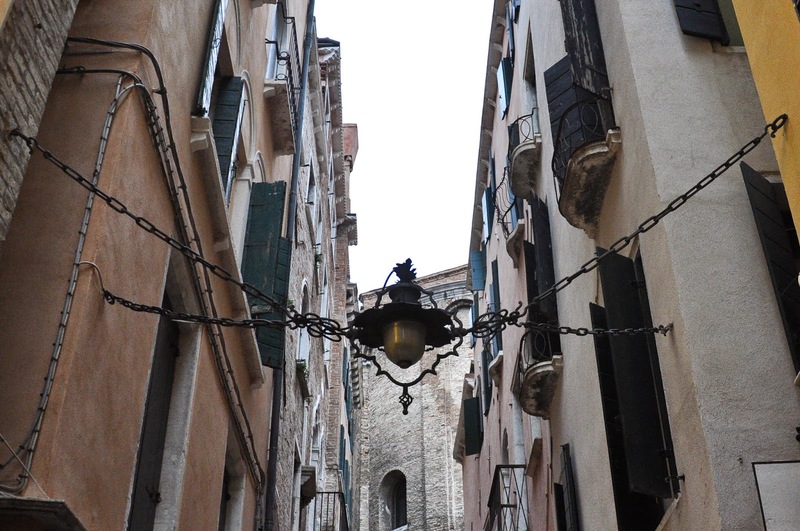 Like this splendid street light, suspended on chains in the streets leading from Rialto Bridge to St. Mark’s Square. Looking up will also help you appreciate the claustrophobic proximity in which the buildings are placed. All available space is utilised. Sometimes, it all looks quite haphazard, like this church, which façade is partially obscured by the residential building next to it. Everything is photogenic and so unique that I am always tempted to snap thousands of random, un-composed photos to serve me as a reminder that this place really exists. Don’t spend all of your time picture-taking, though. Have some fun and shop! 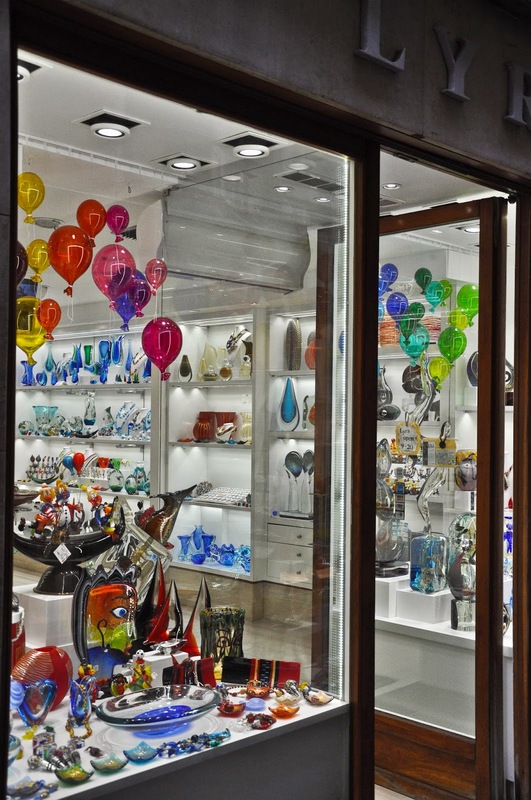 I am really in love with Murano glass, so make sure to pop into one of the many authentic shops and admire the fabulous pieces. It is incredible what the human mind and hand can create using simply fire, water and sand. Oh, and skills that take more than a decade to master. 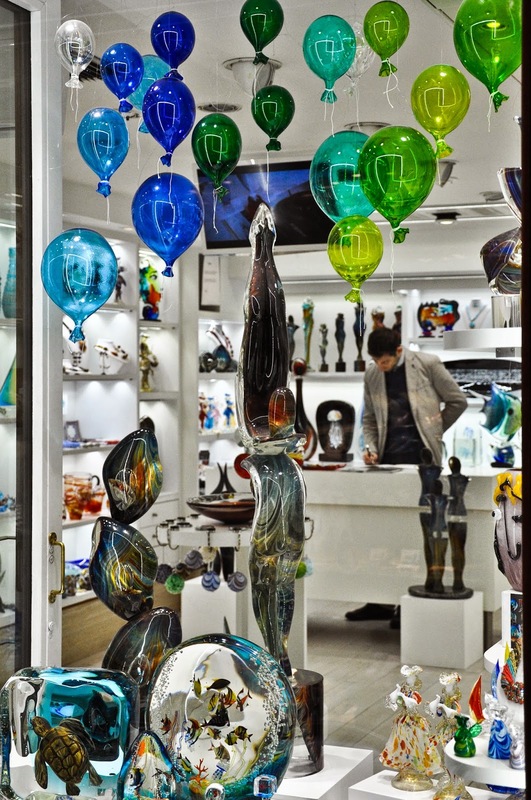 The real Murano glass has an inimitable sheen and comes with a certificate of authenticity, plus if you are buying from a reputable seller, they should be able to give you lots of background information about the techniques utilised in the making of your piece and even the name of the master who made it. 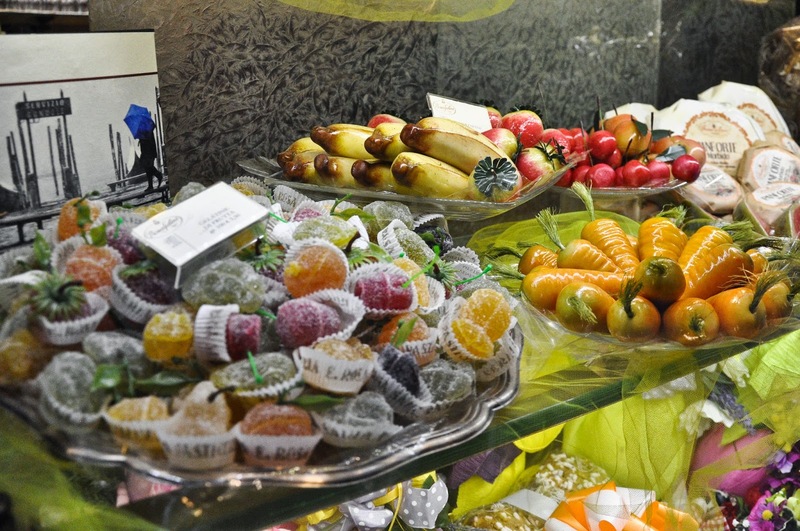 Tired of all this walking and shopping, make use of the great patisseries. 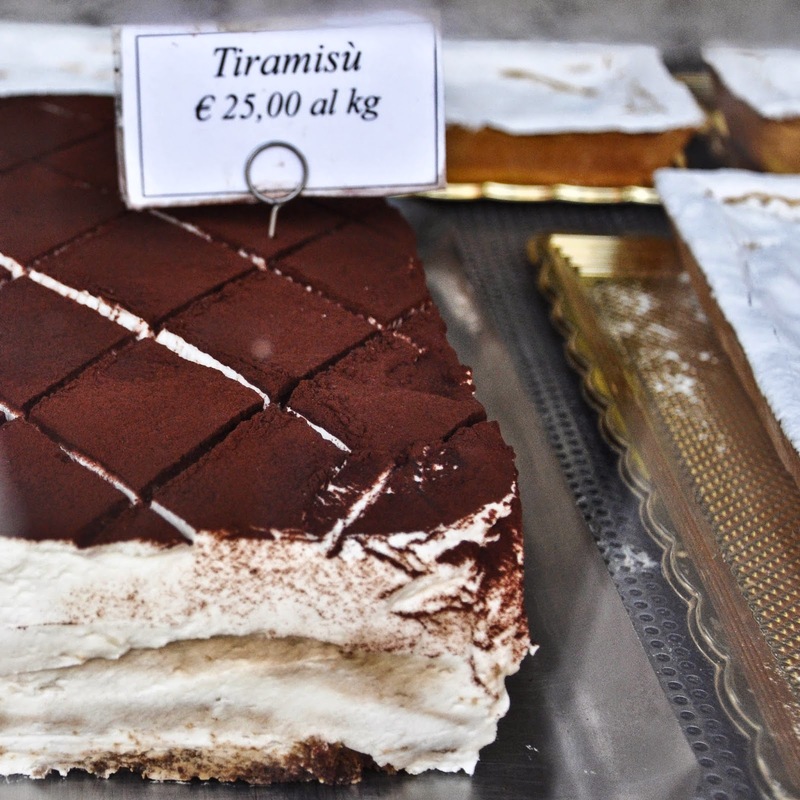 I am always partial to a nice slice of tiramisu, but the choice really is yours. 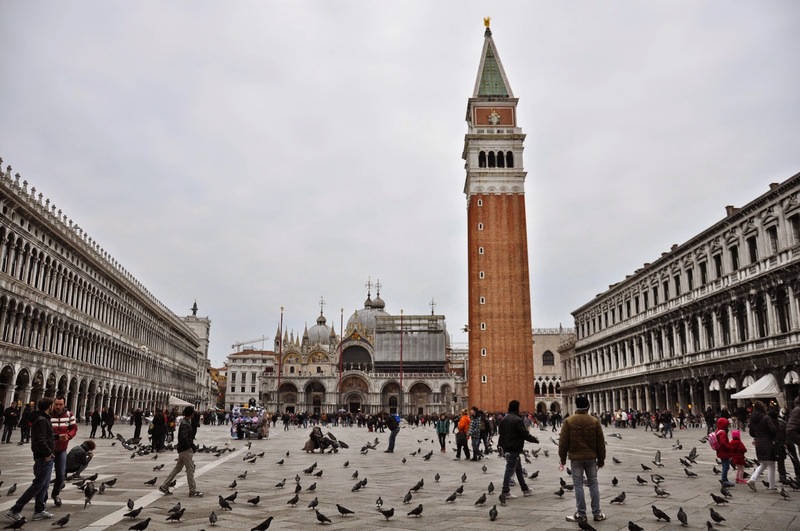 When you are ready to brave the crowds, head to St. Mark’s Square. Any pigeon will point you there! 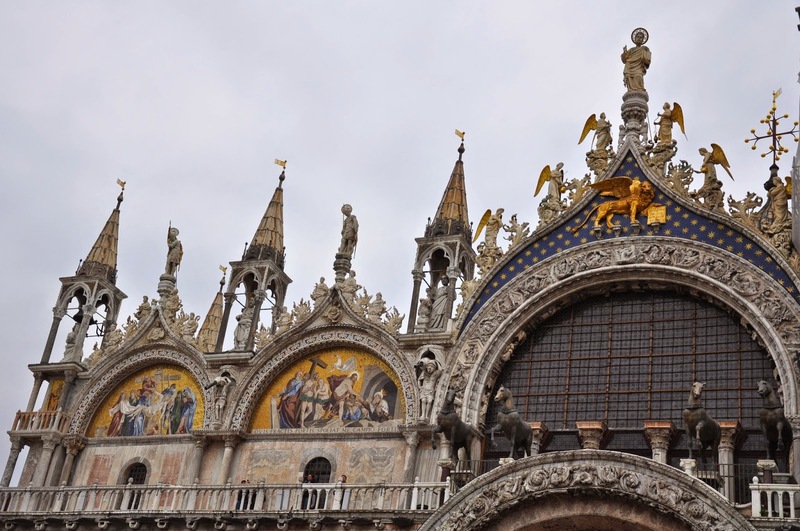 St. Mark’s Square is breathtaking. 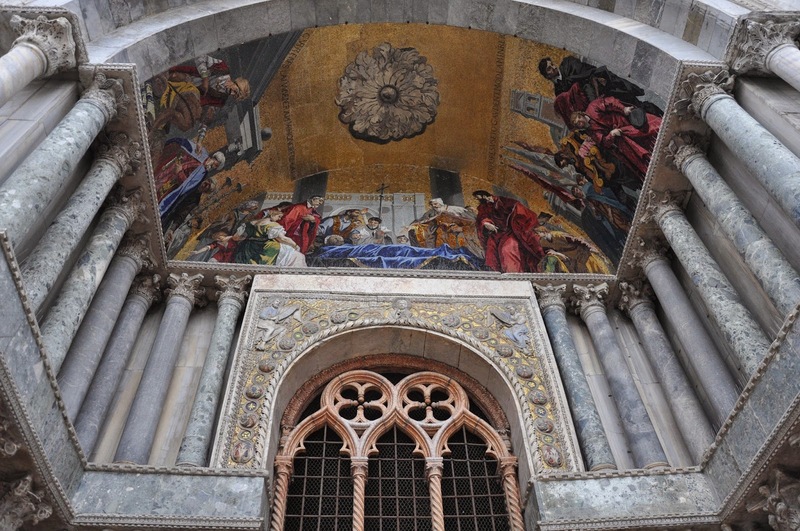 … and dotted on the other by two of the most beautiful buildings in the world – St. Mark’s Basilica and the Doge’s Palace. Visiting them opens a beautiful new horizon in front of your eyes. 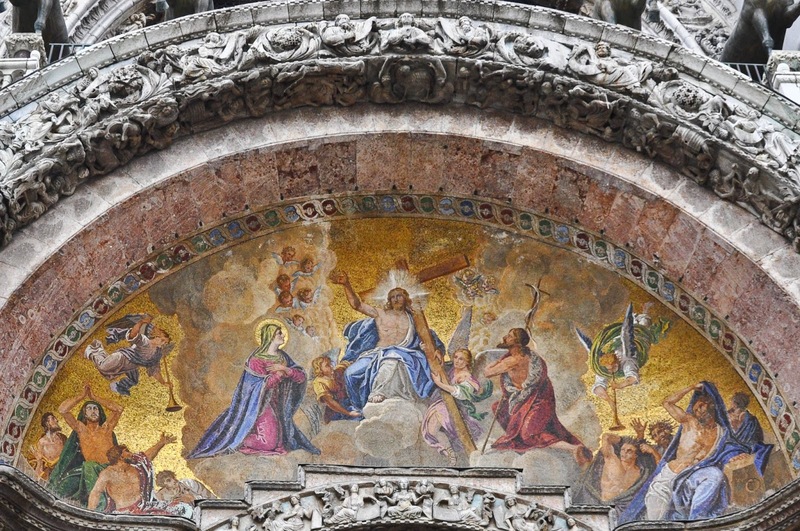 The basilica is undergoing a long restoration of its façade. 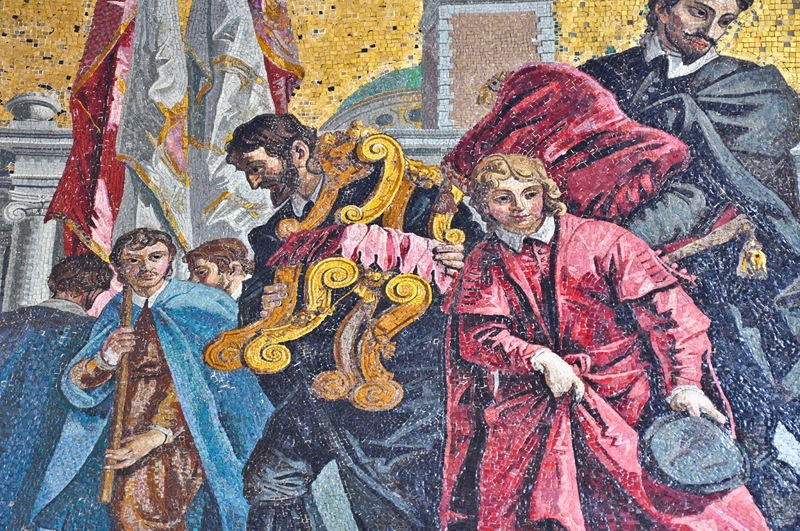 The splendid mosaics and marbles are being brought up to their utmost best. A scaffold covers half of the façade, but when you see the work that has been done on the other half, you can only be amazed. The mosaics seem to radiate light. Their colours are so vivid and clear, that from the ground it seems like the Biblical scenes they represent have been carefully embroidered one tiny stitch at the time. 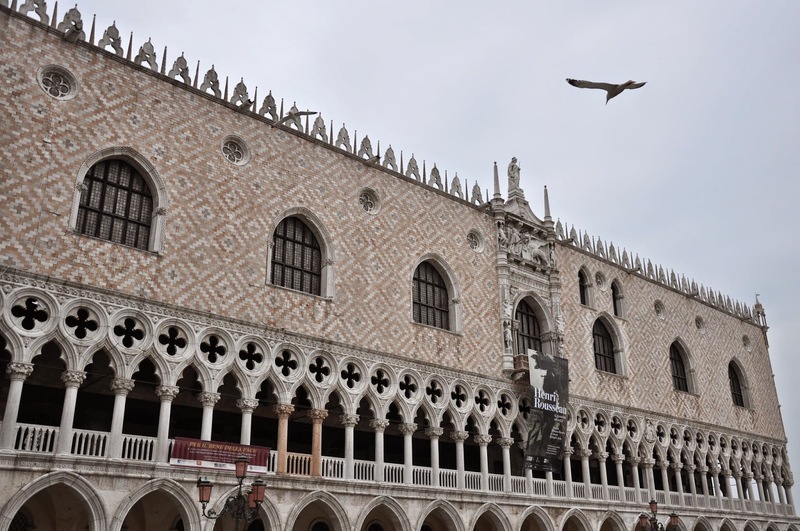 The Doge’s Palace is exquisite, too. I can easily spend many happy hours exploring its many rooms with untold treasures and fabulous art. 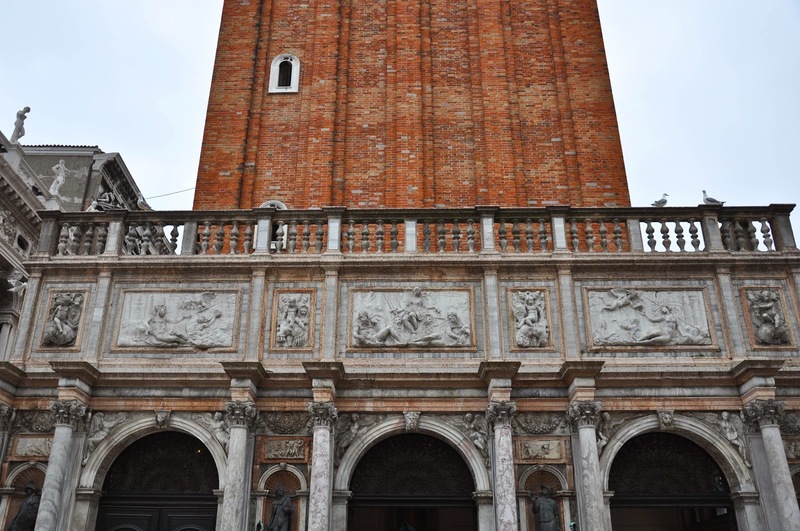 At the end, climb to the top of the bell tower for a panoramic view of Venice. While up there and looking out to the wondrous city at your feet, consider this. 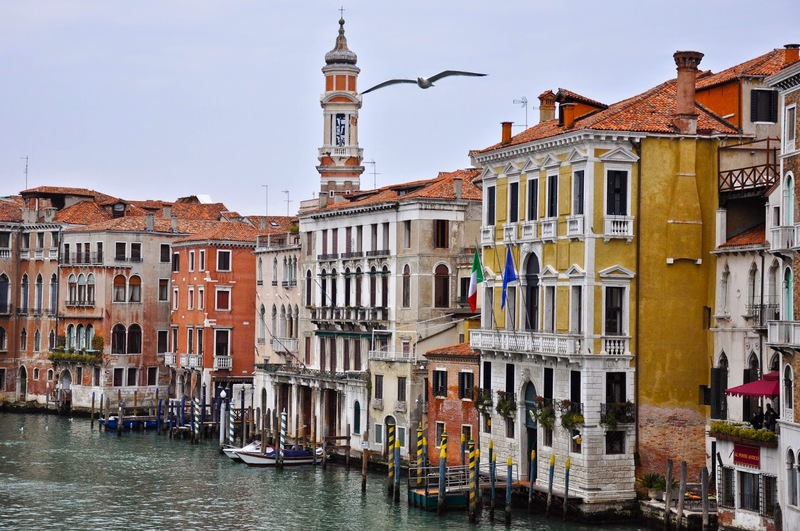 Venice was built on 118 tiny islets in the lagoon. People chose to live there seeking refuge from pillaging tribes. They built a city floating on water utilising engineering skills that amaze us even today. They not only built a city, but created a haven for art, crafts and beauty. Living on water is not easy. Even the simplest tasks have had to be rethought and adapted for this unique environment. I cannot help it but feel in awe every time I think of Venice. To be able not only to survive and live when nature, time and historical events work against you, but to do it in such an artistic and beautiful way, is a true testament to the strength of the human spirit. And this is what brings me back to Venice time and time again. P.S. Dedicated to the kind Venetians who helped us carry the buggy over several bridges in Venice this past week-end. Thank you!